Size: approx. 5 mm. Photo: 06/19/11, 6 pm. A small thorn bug or planthopper sitting on my mexican petunias which I bought at a Home Depot store earlier that week. Very strange bug. I couldn't find much information about it but it seems to be rather common. Notice the little legs and the eye (!) above the top-most leg. Click on the image to magnify the photo. 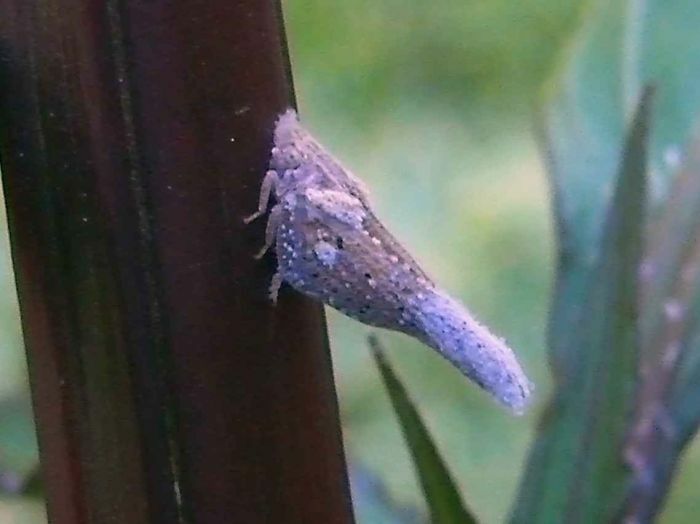 This bug belongs to the genus Cyarda which has four species in North America. The "bug guide" lists the species C. melichari and C. walkeri but I can't distinguish them just based on the photos.